Home > Editorials > ptw Shipyard Invites You To Cruise With A Harley – Davidson. ptw Shipyard Invites You To Cruise With A Harley – Davidson. Tarragona’s ptw – Shipyard will carry out a draw for a chance to win a Harley – Davidson plus a month of mooring in the Port Tarraco Marina, during its participation in the Palma Super Yacht Show (SYSP). 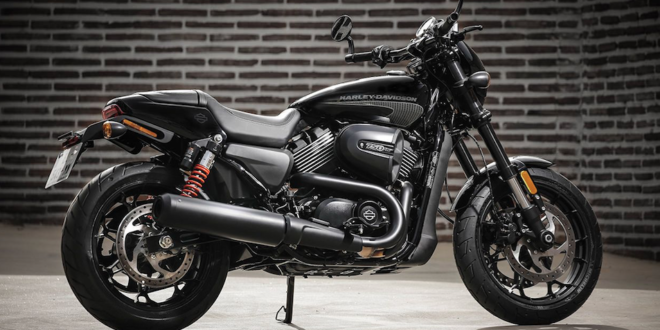 From April the 23rd until 15:00 Monday the 30th of April, all yacht and super yacht captains and engineers present at the SYSP will be able to sign up to participate in the draw of a Harley – Davidson Street Rod. During these days, everyone who meets the contest requirements and wishes to participate can register through the website www.ptwshipyard.com, or go to the ptw – Shipyard stand, which will be located at the Refit & Repair area (stands RR17 and 18). For the most curious, during the days of the boat show you will be able to take a look at the Harley – Davidson being drawn. The draw will be held live on Monday, April 30 during a party organized by ptw – Shipyard, which will take place between 6:00 and 8:00 pm. This event will include a short presentation carried out by the La Isla’s presenter and actor, Alex Tejedor, as well as catering services and music. Our modern shipyard, which has world-class facilities, is located in the Port of Tarragona and 40 minutes by car from Barcelona. ptw – Shipyard has 17,600 m² of total surface area in which we offer unparalleled Refit & Repair services, both for yachts that leave the water (up to 50m LOA) and for boats moored in the marina (up to 85m). Our technicians, project managers and experienced traders are experts in the various types of maintenance work typically performed on superyachts. In addition, we will provide you with reliable advice, practical assistance and top-level results, whatever the task at hand.